Want move-in condition? 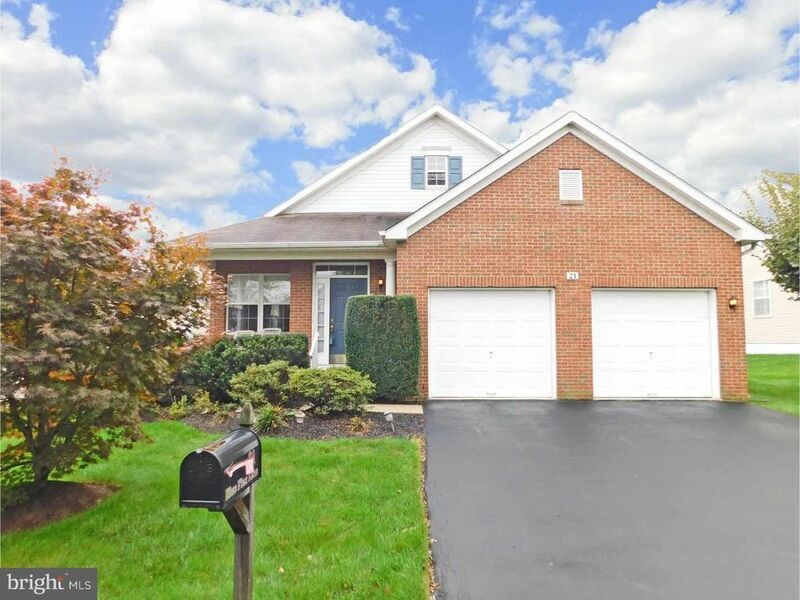 Then discover this immaculate, neutral, and bright ranch-style single home in Langhorne's most desirable 55 Plus community of Flowers Mill. Enter from a covered porch to the open floor layout, beginning with genuine birch hardwood floors flowing through the foyer, living room and dining room (crystal chandelier). A spacious island kitchen boasts quartz countertops, designer undermount sink with window above, 42-inch cabinetry, pantry, recessed lighting, and eating area with upgraded light fixture. Appliances include a gas range, built-in microwave, side-by-side refrigerator with exterior water/ice dispenser, and dishwasher. The kitchen is open to the family room boasting cathedral ceiling with lighted fan, gas fireplace, and new carpeting. A sunroom addition also features a cathedral ceiling and sliding door exit to a private maintenance-free deck (22' x 13') bordered by arborvitae shrubbery. The spacious master bedroom boasts a large walk-in closet, TV mount, and private bath with double vanity, double-wide shower, and tile floor. Completing this level is a roomy 2nd bedroom, hall bathroom, and laundry room with cabintry, washer and dryer. Then there's the finished basement! Oversized finished room allows room for game tables, Eagles game day parties, office space +++ and also has a full bath. exercise room with built-in television, 20' x 17' storage room with work bench recessed lights, and Berber carpeting. A short stroll leads you to the impressive Flowers Mill Clubhouse, complete with indoor and outdoor pools, clay-court tennis, bocce, fully equipped fitness center, ballroom, game and craft rooms, and a myriad of activities.